When it comes to suiting, we believe in relentlessly pursuing the absolute finest materials, construction, and fit to help every man look his absolute best at his next formal event. From our hand-curated selection of iconic American and European suiting brands to our in-store tailoring expert, we offer everything you need to make the perfect impression. From the heights of classic Italian luxury with brands like Canali and Pal Zileri to innovative and contemporary brands like Coppley, we offer a wide variety of cuts and styles to suit any occasion and personal style. In these suits, you’ll be feeling just as good as you look. Our designer brand list currently includes Latorre, Corneliani, Pal Zileri, Coppley and Canali. For those looking for the ultimate menswear experience, look no further. 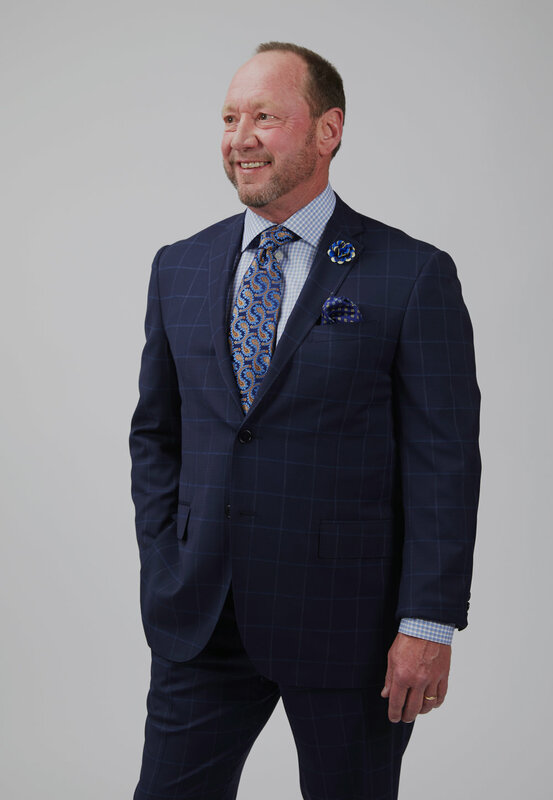 We at Hellman Clothiers are extremely proud to offer the highest quality of custom, made-to-order suits in the Greater Cincinnati area. As passionate fans of exceptionally premium men’s fashion, we know from experience the huge difference that hand-tailored, high-quality suiting can make for our clients, no matter the occasion. No matter your sense of style or personal preferences, we’ll work closely with you to custom-engineer outstanding garments that you can’t wait to wear again and again. For us, quality is everything. We source only the most luxurious and expertly crafted materials and brands, offering a truly unique selection for the area, and work overtime to totally satisfy even the most detail-oriented of clients. 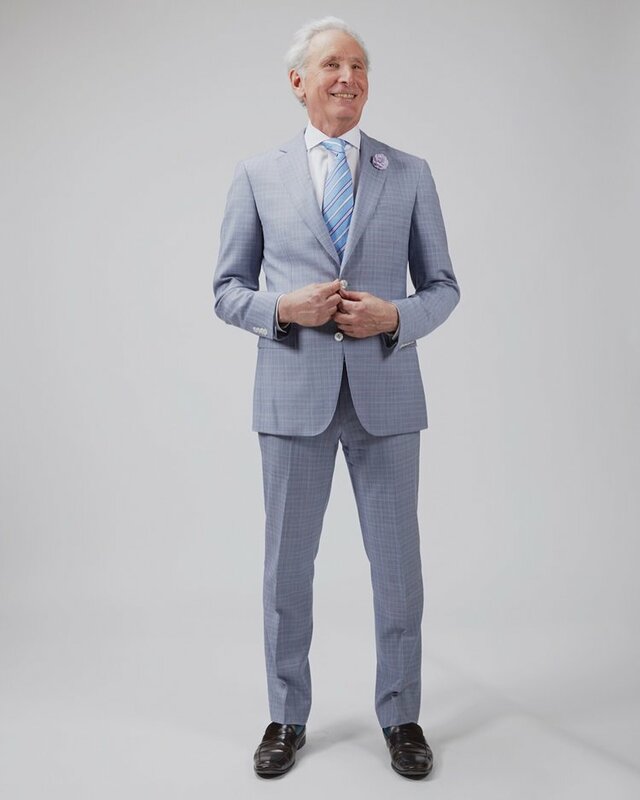 Empowered by the highest quality designers, materials, and the keen talent of our our in-house master tailor, you’ll enjoy the unparalleled style and confidence that comes from fine suiting that’s truly one-of-a-kind. Whether you’d prefer a bespoke or made-to-measure suit, you’ll come away with a suit that feels as amazing as it looks! Not all suits are made equal. Depending on your personal style, budgetary and time constraints, and other factors, what constitutes a perfect custom suit can vary quite a bit. Fortunately, whether this is your first premium suiting experience or you’re a seasoned menswear veteran, our knowledgeable and detail-oriented staff is dedicated to working with you through every step of the suiting process. When deciding what to prioritize when shopping for your custom suit, a great place to start is deciding between a bespoke or made-to-measure suit. 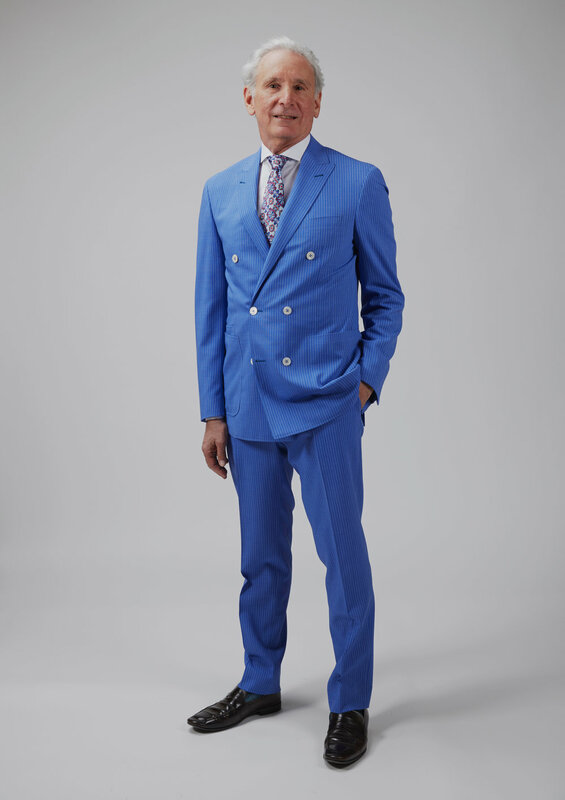 Essentially, when creating our made-to-measure suits, we’ll start by sizing you based on one of the wide variety of ready-to-wear suits available in our boutique. Once you’ve selected a suiting option that fits you reasonably well, we’ll take detailed measurements of all of the places where the suit’s fit could be improved. Then, we’ll get to work customizing every element of the suit to fit your body perfectly. As the name suggests, these suits are made to your measurements, resulting in an outstanding fit. For those who are looking for an even more premium menswear experience, we also offer bespoke tailoring. Unlike a made-to-measure suit, absolutely every element of the suiting process, from the materials to the pattern to the various features, can be customized to your exact specifications. For men looking for the absolute highest of high end menswear options, our bespoke tailoring is simply as good as its gets. You’ll work closely with our in-house tailor to ensure that every last detail of your new suit satisfies you perfectly. Especially for those new to high end menswear, being presented with a high volume of options for their new suit can cause stress or frustration. We try to make things as simple as possible for our clients, walking them through every step of the process. If you’re feeling intimidated, we highly recommend checking out our buying guide for high-end suiting. Ultimately, the key difference between made-to-measure and bespoke suiting is the level of detail you prefer. For those looking for the absolute highest quality fit and construction available, there’s simply nothing better than an expertly constructed bespoke suit. However, due to the highly detailed nature of bespoke suiting, sometimes clients find that a fully custom bespoke suit option presents financial or temporal issues. Made-to-measure suit options can produce highly compelling fits without requiring such an investment of time and money, and for that reason, can be a very attractive alternative to fully bespoke suiting. You won’t have quite as much control over the customization of your suit with a made-to-measure option, but will still be able to make design a suit that fits your body exceptionally well. To put it simply, our custom suiting options allow our premium materials and garments to be worn the way they were intended to be. When it comes to suiting, we know that fit is the definitive factor that determines how you look -- and how you feel. Even the most ludicrously expensive ready-to-wear suiting option won’t improve the appearance of someone it simply does not fit. Unfortunately, finding a suit that fits is more complicated than simply selecting a size off the rack. A properly fitting suit will fit not just in terms of width and length, but in a number of other places. When each of these individual types of fit -- from sleeve length, chest and torso size, pant length, and more -- are taken into account, the problems with settling for ready-to-wear suiting become quickly apparent. How could a premade garment possibly meet all these exact measurements? For those looking to truly make an impression, custom suiting makes an incalculable difference. No matter which material or garment you select to start with, all our custom suits will make an impression with their precision fit customized to your body. In these examples, the fact that these suits were custom made for these models is immediately evident. Not only do these suits fit these models perfectly around the shoulders, but also notice the elegant, subtle creasing near the bottom of the pants created by their perfect length measurement. The jackets are snug around the torsos of these models, but not too snug. And of course, the cuff of the shirt’s sleeve peeks out from under the jacket. Individually, these details might seem minute. However, taken all together, it’s these details that elevate the quality of your entire outfit. The result is a suit that makes you look sleek, professional, and powerful. This type of precision and quality is simply not possible with ready-to-wear suiting. When you invest in premium custom suiting, you’re doing far more than just buying a outfit. You’re making a long-term investment in your own confidence, professionalism, and style. The experience of wearing custom suiting can be truly transformative. Not only will you look as amazing as possible in a garment custom-designed for your body, but you’ll also enjoy the confidence and excitement that comes with knowing you look amazing. If you’ve never tried wearing a custom suit before, it’s an experience that’s truly unparalleled, and has inspired our lifetime dedication to the craft of menswear. We believe that every client that walks through our door deserves to feel as amazing in their their new garment as possible. Though we wish we could provide every man with a custom crafted suit, limitations on time and money mean that custom suits might not be the perfect fit for every type of occasion. If you’re looking to quickly procure a suit for a one-off occasion, custom tailoring options might not be the right fit due to the time, labor, and money requirements. Instead, we might recommend our formalwear rental services. Obviously, the level of formality of any given event is another important consideration. But beyond this, time and money available can play considerable roles in your decision-making, as well as the number of suits already in your wardrobe. A custom suit can be a fantastic choice even for a first-time suit buyer. Depending on the materials and fit, we can create custom suits that are highly versatile for a wide variety of formal occasions, resulting in a suit that you can depend on regularly for years. However, for menswear enthusiasts looking to capture more specific aesthetics or fill a more specific hole in their existing wardrobe, we’re happy to work closely with clients to custom-design suiting options that are perfectly designed to suit any particular circumstance. 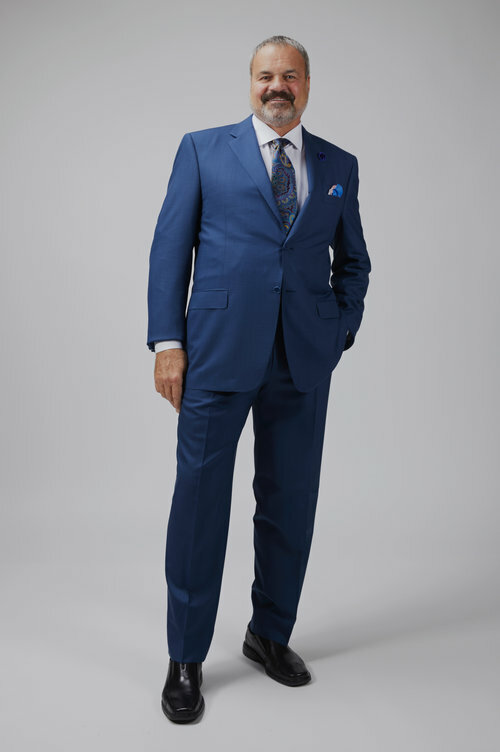 Your flexibility of time and budget can influence which suiting option is right for you, so understanding the typical price range for a custom suit from Hellman Clothiers is important. Typically, our clients can expect to spend somewhere between $2,000-$3,000 for the majority of custom suiting jobs. Obviously, a custom-made suit will cost more than a ready-to-wear counterpart, but the lifetime value of a hand-crafted piece of custom formalwear absolutely makes a higher upfront cost worth it. Especially if you plan on wearing the suit you purchase multiple times, consider this a long-term investment in both the impression you’ll be making and the confidence you’ll be feeling. If the suit you’re buying doesn’t make you look and feel amazing, it’s not worth your time and money no matter what it costs. We know from both personal experience and the testimony of our clients that the confidence and pride that custom menswear can make for you at any event is potentially life-changing. A high quality garment can transform your mood and make you feel suave, attractive, and put-together in a way that almost nothing else can. On top of this, knowing that your custom-fitting suit is constructed from some of the world’s finest materials and patterns can further boost your confidence: check out our recent blog post about what makes menswear high-end for more detail on what to expect from premium suiting. Ultimately, a slightly higher upfront cost for a custom-tailored suit that looks consistently outstanding is an outstanding a long-term investment in your own priceless confidence. Where Can You Get A Custom Suit In Cincinnati? There are a variety of places in the Greater Cincinnati area that sell menswear, but we push ourselves every day to offer what we believe to be the absolute best menswear experience in the area, bar none. We’ve written no shortage of detailed articles about what we feel we do differently, but ultimately, it comes down to our passion for exceptional quality, precise details, and world-class brands. Everything we do is centered around providing an unparalleled experience for our clients. Our team has scoured the globe to stock only most exceptional American & European menswear brands, with the goal of providing the type of custom menswear experience you’d typically only find in the world’s preeminent fashion cities to patrons in Cincinnati. We also offer multiple unique services that help us serve our clients as perfectly as possible, including having our dedicated master tailor, Vida, on staff to maximize the quality of our custom alterations. Ultimately, our goal is to be not just the best source for menswear brands in Cincinnati, but also the best providers of a quality customer experience. At every step of the custom suiting process, we strive to be Cincinnati’s absolute finest purveyor of quality mens suiting and formalwear. Whether you’re looking for totally custom bespoke suiting, or more time- and cost-effective made-to-measure options, we’ll leverage our premium materials, iconic brands, and detail-oriented expert staff members to create Cincinnati’s absolute finest menswear experiences, no matter the occasion. Whether you’re a veteran enthusiast in high quality men’s fashion or a first-time shopper, we’ll do everything it takes to ensure you feel confident and comfortable from our first meeting to the final try on. Our team, including Vida, our master tailor, will take precise measurements and guide you through our extensive selection to ensure that your finished suit is a perfect fit for your personal wardrobe, style, and suiting needs. Our broad selection allows even the most specific suiting requests to be met, and we’re happy to customize any of our offerings to perfectly satisfy the needs of our clients. And most importantly of all, every service we provide is done with our highest level of detail and care because we know the difference that exceptionally high quality mens formalwear can make. Our passion for exceptional suiting fuels everything we do, and we’re extremely motivated to empower every man that shops with us with a handcrafted, high quality suit that makes him feel as amazing as he looks and will last him for years to come. Ready to get started designing the perfect custom suit for your next formal occasion? We’d be happy to help: drop by our convenient Downtown Cincinnati location or visit us online for more information and to get started.